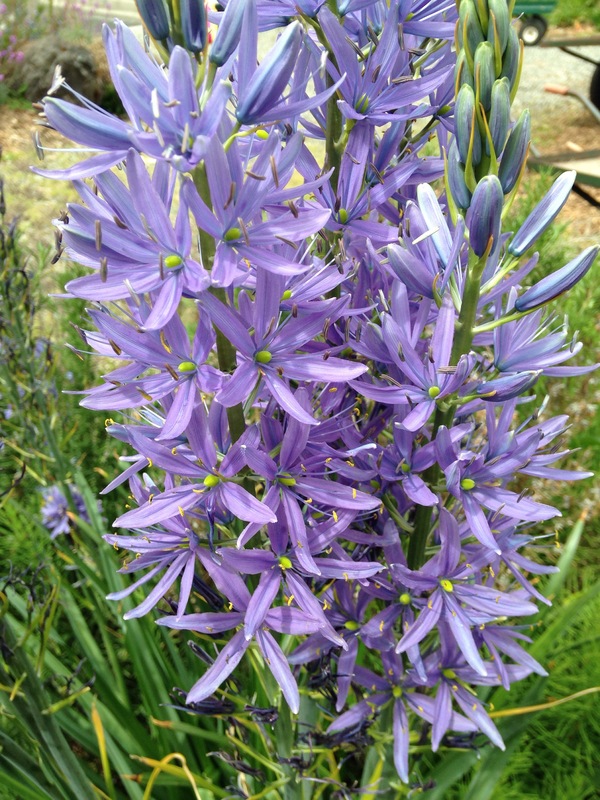 The great camas lily or Camassia leichtlinii is a beautiful native plant in the Pacific Northwest. It’s not as common as it’s cousin Camassia quamash and the difference is that leichtlinii is taller and the tepals of the great camas eventually twist together to cover and protect the fruit, while those of the common camas lily do not. 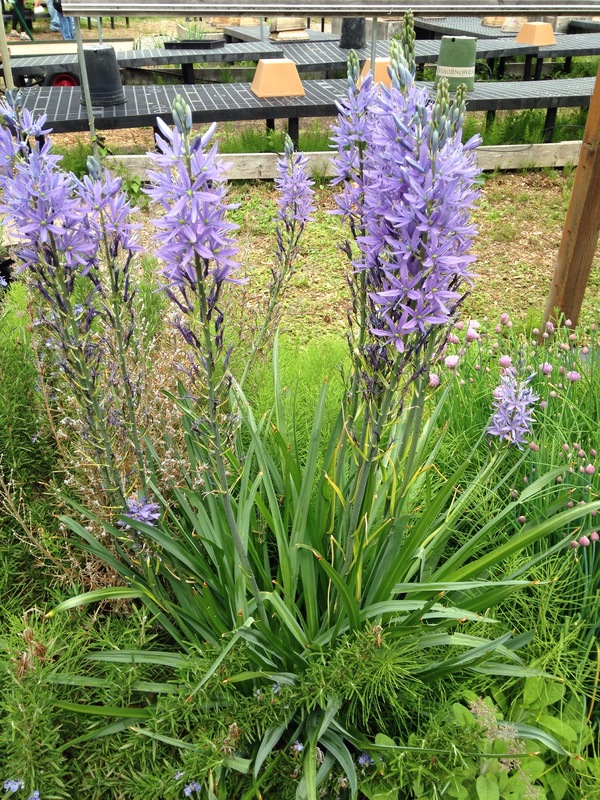 Camas was an important staple food of the native Americans. From the journal of David Douglas ‘Assuredly they produce flatulence: when in the Indian hut I was almost blown out by strength of wind’! But on a calmer note, from the journal of Meriweather Lewis in 1806 ‘The quawmash is now in blume and from the colour of its bloom at a short distance it resembles lakes of fine clear water, so complete in this description that on first sight I could have sworn it was water.’ 200 years ago the camas lily must have grown abundantly and painted a beautiful picture across the landscape. We were thrilled when this one came up unexpectedly in our herb garden at school. Last year I planted these in my garden…I love seeing them every spring.